Discover the beauty and magic of Buenos Aires, a city known as the "City of Tango" or "Ciudad del Plata". This unique city is full of passion, history, culture, and magic. Our journey will begin through one of the main avenues: the July 9th Avenue, where we see the Teatro Colon and the Obelisk monument emblematic of the city. We will then visit the Plaza de Mayo; Epicenter historical, political and foundation, the Metropolitan Cathedral, the Government House, the Cabildo. The tour continues south through the old neighborhood of San Telmo, passing through Parque Lezama and then we'll continue on further south to reach the neighborhood of La Boca. Its famous stadium, Boca Juniors, is where the passionate football players come together. Visit the famous Caminito, the Tourist Attraction Centre, full of color, magic and history. Drive along the Riachuelo to the other end of town where we can see the contrast of the city, passing through the port to Puerto Madero, which is one of the newest, most exclusive and most modern neighborhoods in Buenos Aires with its main areas of Retiro and Plaza San Martin. We'll move on to Palermo, which is a hotspot for nature lovers and nightlife enthusiasts. It also includes the San Martineano Institute, embassies, museums and significant monuments. 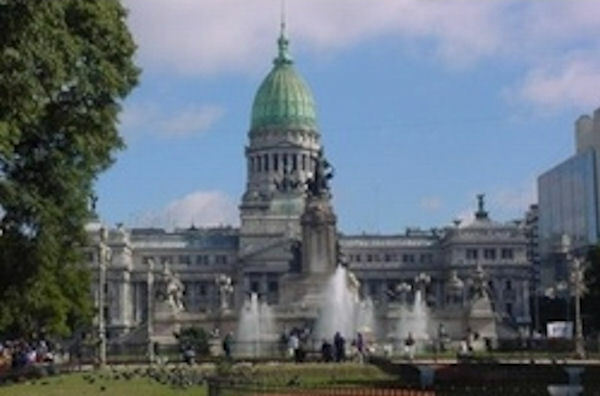 We will complete this neighborhood tour with the Rose Garden, the Magna Carta and the Four Regions of Argentina. The last neighborhood we'll visit is the exclusive and sophisticated neighborhood of La Recoleta, where one of its main attractions is the cemetery alongside fine restaurants and cafes. The tour ends back in the city center where you will have time to explore on your own. If you would like to return to the ship directly after the tour completes, the guide can help you get a taxi back to your cruise ship port. Please note: The taxi ride is not included but is an estimated per group for the 15 minute ride back to the ship pier.